Much better than a year ago, and than adjacent model years recently. Probably won't stay this low. Higher than in the past, possibly a temporary blip as these minivans crest the 100k-mile mark. Frequent brake pad replacements not included in this result. Caliper replacements also somewhat common. Redesigned for this model year. Better than a year ago. Frequent brake pad replacements not included in this result. 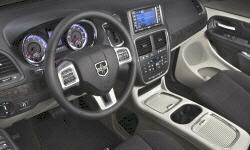 You won't find Dodge Grand Caravan reliability information like this anywhere else. Actual repair frequencies, not just vague dots. 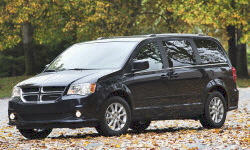 So you can tell how much the Dodge Grand Caravan truly differs from competing car models in reliability. These stats have been promptly updated four times a year, to much more closely track Dodge Grand Caravan reliability as the cars age. Others tell you how reliable the Dodge Grand Caravan was a year ago, when the cars were a year younger and had 12,000 fewer miles on them. Only TrueDelta tells you how reliable the Dodge Grand Caravan has been recently.